Capricorn Horoscope for 2012 indicates a good financial year for the natives. An objectivity or solitude attitude will be witnessed during the months of February and March; try to make use of this time to analyze your shortcomings. Spiritual short trips are seen frequently during 2012. Capricorn Horoscope for 2012 specifies that this is the right year to set right your relationship with your mother. You would find cordial solutions for the preceding tribulations with your siblings and the relationship would turn better during the mid – 2012. Some natives may stay away from their relatives and family members during the months of May to October. Friends circle will increase in 2012 and some of you will become extremely popular. Meeting some old friends is also on the cards. Capricorn Horoscope for 2012 points out that your words will be honored by family members, especially your father. Please Note: The Capricorn Horoscope for 2012 given here are common for the natives of Capricorn and may differ according to an individual’s birth date and time. For a simplified, accurate & customized 2012 horoscope prediction, get your personalized 2012 yearly horoscope prediction report now. Capricorn Horoscope for 2012 indicates that the natives will remain in pink of their health during the most part of 2012; however, there could be some minor ailments during the last part of the year. Ailing patients will find some relief after May 2012. Capricorn Horoscope for 2012 confirms that the year is going to favor the natives, financially. Chances of earning well and increase in bank balance are foreseen. Pressure of clearing their debts will be felt by some natives. It will be better to curb extravagance and showy attitude. From the period of January to May 2012, health expenses on behalf of father are seen. Possibilities of expenses related with travel and change in place is foreseen. Purchase of house, properties and vehicles are possible during 2012. 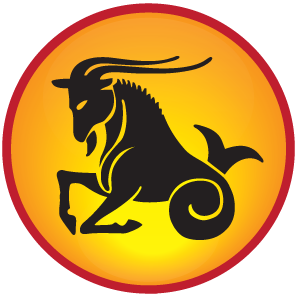 Capricorn Horoscope for 2012 indicates that romance will be promising during mid 2012; however, natives will have to be careful in handling their loved ones, during the beginning of this year. Don’t blow up over matters that are concerned with your emotional life. Try to remain calm and the issues that surface will help you make a decision beneficial to the future. Capricorn Horoscope for 2012 suggests that the unattached natives will get married in 2012. Enjoy your relationship and cherish every moment in 2012. Let this year bless you with abundance and wealth.